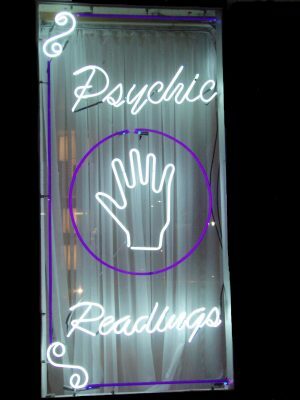 There’s a little storefront around the block from where I live, which is home to the neighborhood psychic. I’ve considered visiting her, and asking about how the coming year might shape up in the world of search, but I’m not sure that she could handle the relationships between the major search engines, and the often intriguing acquisitions and service releases that the Google’s and Yahoo’s of the world make. I wouldn’t want to break her Tarot deck. One thing that I couldn’t have predicted last year would be that I would meet Yuri Filimonov, from Novosibirsk, Russia, who writes at Improve the Web, and who is an active and eloquent poster at Cre8asite Forums. I wouldn’t have guessed that I would co-author with him a post on search predictions for 2007. This is one of two parts, with the other appearing on Yuri’s pages – How Will 2007 be different for us? Bill: The Open Directory Project decides to come out of hiatus with a new look and feel, adding a way to see which editors added which sites, rate the effort of the editors, and rate the sites added. Chefmoz-styled reviews will also be included in the directory. Yuri: Ah, I have completely forgot about Dmoz. Maybe I was thinking (deep somewhere) that it’ll come to an end. I’d surely hope that it finds a way to reevaluate the input of their editors (get rid of bribed editors) and improve the efficiency of their work. But an alternative method may be that it doesn’t do anything and is only kept up by the true editors, who love the project. The outcome may be the same (quality editors in charge of the directory), but quite different in the form. * Oh, no! Dmoz has been down for 5 weeks and I’m getting impatient. DMOZ is back up since Yuri and I discussed it here a few days ago, and some of the information behind the scenes is missing. Will it continue down the path it’s taken for a few years, or will it be drastically changed? I’d love to see it become a little more modern. Bill: More query refinements are added, customized driving directions with landmarks come out, Google acquires a company that does speech transcription/indexing, radio ads become available through adwords but advertisers become disatisfied with them until they start understanding the idiosyncracies of advertising on radio. – continuous integration of offline world into search results or visa versa (mobile search, Google Maps, Google Maps for mobile, AdWords radio ads, etc). I didn’t think about radio ads not satisfying the users, though, but I guess that’s a natural way of adopting new technologies. Will we see regional differences in results attract so much attention that it causes some negative kickback? I think we will. – buying a mobile phone company (to offer a mobile format easily) – I heard some company (Blyk as per link below) offering free mobile phones with ads – might be bought by Google? Bill: We both agree that Google has too much money, and will probably spend it on something. I’m expecting a few significant purchases. A Blyk purchase would be interesting. Would Google do something in print, like a weekly or monthly magazine? I don’t know. I remember that Yahoo did something like that in the past (Yahoo Internet Life). One of the mantras that I hear from Google almost as much as the “Don’t do evil” one is that they will not enter a market that they can’t be innovators in. That might rule out a print publication, unless all of the ads that appear in it are ads that can be purchased through an adwords mechanism. Yuri: That’s what I was thinking about a new print edition. They can still innovate with their access to [search] information and advertisers. Also, I don’t as much expect a new print edition, as I’d expect Google to enter the print arena and offer a new way to monetize it through advertising. Yuri: I think there could be a whole direction (or there already is one) of spamming local search with geo-targeted pages. Currently, I am not really observing it (just numerous pages with “service+state” structure). I am sure Google can find a way to annoy spammers and legitimate businesses with local algorithm tweaking. Bill: They seem to be pretty good with their verification methodology in their Local Business Center. The challenge, as I see it is inspiring more businesses to sign up through that interface. Perhaps if they made coupons easier for people to find? I could maybe see Google reach out to local chambers of commerce to share information about business registration. Bill: Like the Text Link Brokers one, and the map from sending a photo. Bill: The company reorganizes a couple of times, Yahoo search gets a lot better fast, the company acquires AOL. Bill: Yahoo! has been criticised a lot lately for reorganizing every three or four months. I thought it might be funny to predict that they will again, at least three or four times, especially after the peanut butter memo. There are a lot of people who would do local PPC – geographically based stuff – if given the chance, and if the benefits were clearly explained to them in an easy to follow manner. I don’t know if Yahoo can do that. Yuri: Ah, I was not following the Yahoo news. Then they are bound to reorganize at least three times the next year 🙂 Good prediction. Yes, I know people use Yahoo, but not as extensively as AdWords. I hope (or think) Yahoo should do something about it. Bill: Yahoo has a lot of parts that are duplicated in some fashion, and could possibly be coordinated better. But some of their best services, like Flickr, should be handled with care. It’s the communities from places like that which, in some ways, are their biggest asset. Bill: Microsoft research and the live.com teams start competing with earch other, and come up with some interesting approaches to compete with Yahoo and Google. Microsoft Virtual Earth sees some tremendous advances and adoption. Yuri: Caught me again. I don’t think MS will find a way to compete, unless they remove the corporate breaks and policies that stop them. Know that Google offers 20% of their employers time (or money, if we put it) on any project they’d love to do? Can you imagine this happening at MS? MS only succeeds if they create small groups of researchers and developers to focus on the little projects they love (and probably offer more than 20% of their salaries for that). I’d expect Google to buy out (or share its market share with Y) MS search sooner or later. It is way behind and isn’t advancing fast enough (unless you count visual redesign of search an advance). Then again, MS might buy out some Google engineers to finally tweak their algo for something better. It is interesting to overview this battle, of course. Bill: I’ve been reading a lot that the latest Microsoft operating system, Vista, will be the last of its type made like it has been, with 10,000 people working on it. How many of them might be able to make meaningful contributions to online efforts? Some of them, maybe. Will a good number of them slide over to the internet side, and make a difference? Is it a matter of focus? Maybe. Turnover seems high in the search engineer market when it comes to Microsoft. I’d guess that many of the stock-rich Google folks might move on to do their own thing if they decide to leave Google, rather than work for Microsoft. Yuri: Ah, right. The whole power of MS can be turned online. It may deliver something worthwhile. Good point, after all. Bill: It would be something if the power of Microsoft was turned to the web. Can they build stuff and give it away for free to earn good will, or will that land them in hot water like giving away Internet Explorer did, when Netscape was the market leader? Can the folks who worked on Vista adapt to a different paradigm, of building for the web? They may have no choice. I’m impressed with Microsoft’s Virtual Earth efforts. Yuri: They had issues with IE, because they offered it with the major OS they sold. If they offered IE for free without it being pre-installed, there would be no noise about it (except from Netscape, of course). While free stuff might help them, I doubt they will do it. MS is MS, Google is Google. Bill: Better phones, younger users getting older and more likely to use mobile local search, companies performing demos in Japan of mobile search in anticipation of moving to other regions; local and mobile search may become bigger faster than anyone anticipates. Yuri: Yup, same thoughts here. Didn’t hear anything from Japan, though. Amazingly, I didn’t mention mobile local search for some reason, too, though. I suspect mobile search is what local search was a couple of years ago. It’ll be gaining fast and go mainstream in two years, I think. Bill: Mobile is going to be a big driving force behind local. The companies doing demos in Japan are small ones, focusing on object recognition, visual search, and supposedly doing alright. Their work might catch on in other markets. There’s a lot of room for growth in local/mobile/local and mobile. How much will it grow, and how quickly? The quickly part is what I’m predicting. Yuri: I don’t see why Google won’t buy those companies, focusing on visual search. That’d help them big time. I’d say that local search optimization will be the next thing in 2007. Mobile has to wait, so local/mobile will be in the next year. Unless Google does buy a couple of companies and makes significant efforts to pull it through. Indeed, an interesting trend to see. Btw, according to Google’s Sumit Agarwal, mobile search will be pretty popular in only 12-18 months. Bill: Yep. I think that my prediction here is that this will happen faster and sooner than people expect. And I could see Google trying to buy some of these companies. Yuri: We’ll have to see it for ourselves about mobile. It is a pretty large industry and I’d expect everything to crawl slower than it does with local search, even when it depends on Google (there are lots of other bottlenecks with mobiles). Yuri: That the Danny sessions? Bill: Yep. It’s presently scheduled for two days in June. I could see a third or even fourth day added. Yuri: In that case, I’d expect SES cut down to 1-2 days 😉 There can’t be that many multi-day conferences with the experts. The more the conferences, the lower the quality (then again, maybe a larger amount of conferences will allow more experts to show off their knowledge without reducing the overall quality). Bill: SES has a big audience, and I’m not sure that they will be harmed. I can see the Pubcon’s boom in attendance though, and Danny’s single conference may go so well that we see multiples happen within the next couple of years. If there’s only one SXM conference next year, and it does really well, I could see four or five of them the year after that. Both Danny Sullivan and Chris Sherman have experience putting together conferences. Yuri: While I certainly see a large number of people attending SES, most may be moving to SXM and PubCon. It’ll be clear in two years, when, as you say, there will be more SXM sessions available. Bill: Someone decides to do something about the clunky user interface, it becomes possible to create different groups for friends and the ability to collect contact information notes/information for those friends is added. Yuri: I’d hardly expect MySpace to redesign. They can add some bells and whistles, but more importantly they need an improved site structure – maybe a faster (more text-y) too. Bill: The social connections between users is what keeps them from disappearing like geocities. But a friendlier user interface may get a lot more people excited about using the service. Yuri: Yes, that’s what I think about it, too. Btw, I think MySpace redesigned a little (minor tweaks), but I don’t remember where I’ve seen the analysis. Bill: There was some speculation that Yahoo was trying to purchase MySpace. I don’t think it will happen. Would Google try to buy them? Yuri: I’d say it is highly likely that Google will buy MySpace. It has bought YouTube and merging it (or at least networking it) with MySpace may give it another boost of attention. I’d also expect Google to buy some podcasting company to enter this field – I haven’t heard of G entering this, yet. Bill: One of the big enterprise search companies decides to goes into the web indexing arena, playing off a past reputation and a simple search that does nothing but search. Yuri: I am noticing new search engines appearing, as if there’s no competiton. There’s some recent search engine that can answer questions from search queries. For example, http://start.csail.mit.edu/ is another attempt at automated answers. By the way. Jakob Nielsen has asked the question of SE answering questions. I guess this isn’t going to be solved that fast, after all. I shouldn’t be surprised someone offer a Google-like homepage with simple search, too. However, Google is better at search, so I see no reason to do it. Bill: Enterprise search is the inhouse search that helps people find documents on intranets, even if those documents don’t have hyperlinks between them. Because they have more constraints and lack the benefits of using linkage information, they have to work a lot harder doing things like natural language processing. At some point, someone is going to add the link analysis aspect to those searches, and come up with a search engine that is superior to Google or Yahoo. Maybe. Yuri: Ah, you mean intranet search. Yeah, why not. I have long been thinking that Google should start focusing more on analyzing the text, than on links. Let’s predict that “Google learns to read and starts giving more value to natural language”, I guess. Bill: Google may be doing some of that already. I seriously think that they are. I wrote about some patent applications from Anna Patterson, and I think that they are likely using them. It’s the only thing I’ve seen from them that explicitly mentions supplemental results. Yuri: Well, then I don’t see how another new search can efficiently compete with Google. While I certainly see a possibility for another quality search engnie to appear, I doubt it’ll be edging Google out of the market. Please see the continuation of this discussion and set of prognostications over at Improve the Web. And, if you have any predictions you’d like to share for the coming year, please feel free to add them in the comments here or there. Pingback: How will 2007 be different for us? 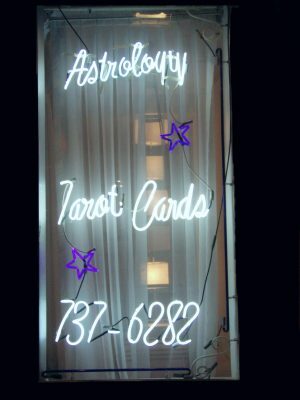 It’d be fun to consult a psychic or a medium on the futurecomings of search or social marketing to be able to jump the niche before it even exists or hinted at. It’d require some skill to translate what they say or find a psychic, who knows the search engine marketing industry (tough call, isn’t it?). It was fun to put this post together with you, Yuri. But it would be fun to see if some of the more unlikely predictions within it came to pass. You’d be amazed on how exact information media (spiritualists) can provide. They are pretty good at knowing past facts, but predicting the future may be hard, because it is not clear to anyone at all. However, it’d be pretty obscene to use them, their powers and the ones on the other side of the veil to learn which topic to bait for. “Quality content”, hard work and patience yet again, I guess. And it was a pleasure to write with you, too. I guess in some ways, the divide between spiritualism and science isn’t so great. In both, we place a lot of reliance upon faith, though we like to say when making predictions about the future based upon past actions, observations, and experiments, that we are making educated guesses. Fun to see so many other posts from folks talking about gazing into their “Crystal balls” the past couple of days, too. Whatever the upcoming year brings, I’m certain that it will be interesting. I’ll be looking forward to going over these posts with you a year from now to see how good or bad our predictions were. What was the most interesting use of ODP data that youÂ´ve seen in patents or scientific papers in 2006? And what might be the most interesting use of ODP data in 2007? That’s an excellent couple of questions, and probably worth a blog post or two instead of a comment hidden away under a pretty long post. There’s so much data there, and it is an extremely useful source of information, that can be used many different ways. One of the well recognized values of the Open Directory project is the taxonomy created as pages and topics have been added, and we see that in the titles to some of the patent applications that were published in 2006 that mention the Open Directory Project. A few others describe a graphical visualization of the web, and others talk about website reputation. There are some well know older papers, like the one on Topic Sensitive Page Rank that discuss using categories for the ODP as starting off points for ranking pages that aren’t query independent in the same way that pagerank is. So, how about a way to fight webspam from 2006 that relies upon an ontology like the one from the Open Directory Project. See: Topical TrustRank: using topicality to combat web spam. A good number of other papers to look through at Google Scholar from 2006 which mention the ODP. This one, Assigning Geographical Scopes To Web Pages, points to using geographic information from the project in a meaningful way, as research to be conducted in 2007. If you don’t mind, I’ll carry this over to a future blog post or two or three. Great topic. The paper on geographical scopes sounds interesting! The Topical TrustRank paper was on my “best of” list for 2006, too – my personal favourite was Ziv Bar-YossefÂ´s Random Sampling from a Search Engineâ€™s Index. I wrote a little about it earlier this year – How do you estimate the size of a search engine. If you haven’t seen it, shortly after he joined Google, he gave a presentation on the paper for them, which I linked to in my post. The Topical Trustrank one was pretty good, too. Let me see what I can put together – it’s a great idea for a post. There were a decent amount of patent applications that came out in 2006 which mention the ODP in some way. It’s be nice to do a survey post of those, and of some of the 2006 papers. It’s not an area that I’ve been focusing upon, but It’s pretty interesting. Interesting find, Yuri. I had heard a little about the powerset folks. As for an Australian search engine, I was thinking that if some amazingly prolific patent filers like the Australian company Silverbrook Research might decide that they had applied for patents on everything related to print that could be patented, including many internet related applications, that they might come to the conclusion that building something like a search engine wouldn’t be all that difficult. After all, it may not be an Australian search engine. As the article says, lots of people may be working on the SEs just to be bought by G or Y or M.
Remember our debate on psychic predictions and their accuracy (like the one above)? Judging by my logs, someone does believe them. I guess the world of psychic predictions is much wider than what your local prophet or we could prophecise about.